Definition at line 207 of file from_kernel.h. Definition at line 212 of file from_kernel.h. 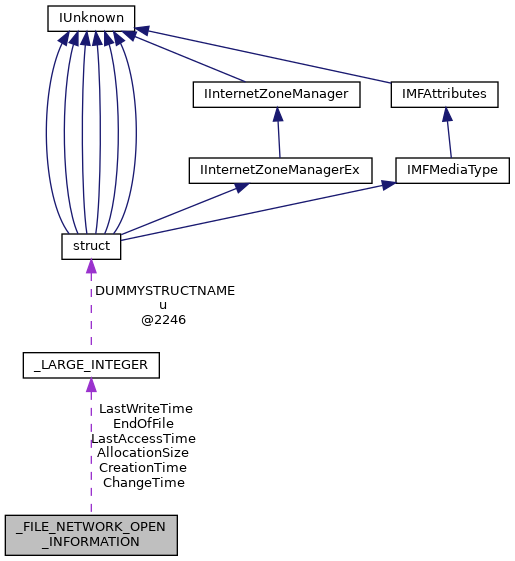 Referenced by _Function_class_(), Ext2QueryFileInformation(), fill_in_file_network_open_information(), NtfsGetNetworkOpenInformation(), and VfatGetNetworkOpenInformation(). Definition at line 211 of file from_kernel.h. Definition at line 208 of file from_kernel.h. Definition at line 213 of file from_kernel.h. Definition at line 214 of file from_kernel.h. Definition at line 209 of file from_kernel.h. Definition at line 210 of file from_kernel.h.